If there is one type of offshore development team that always gets my attention, it’s the expat-run software team. In theory, this model combines the savings of offshore development with familiar western leadership and management – a perfect combination. That is, except when it’s not. Over the years I’ve had the pleasure of meeting and working with many expat-run teams. Most of them are terrific and SourceSeek continues to favor this type of model. In fact, the expat-run boutique firm is the vendor type we recommend for many clients. Over the years, however, I’ve noticed that expat-run teams don’t live up to our expectations, and frequently it’s because expat life isn’t as easy as it sometimes seems. 1. Beware The Miserable Expat (Yes, that’s a thing). Anyone can go through a rough patch, a divorce, or a depression. 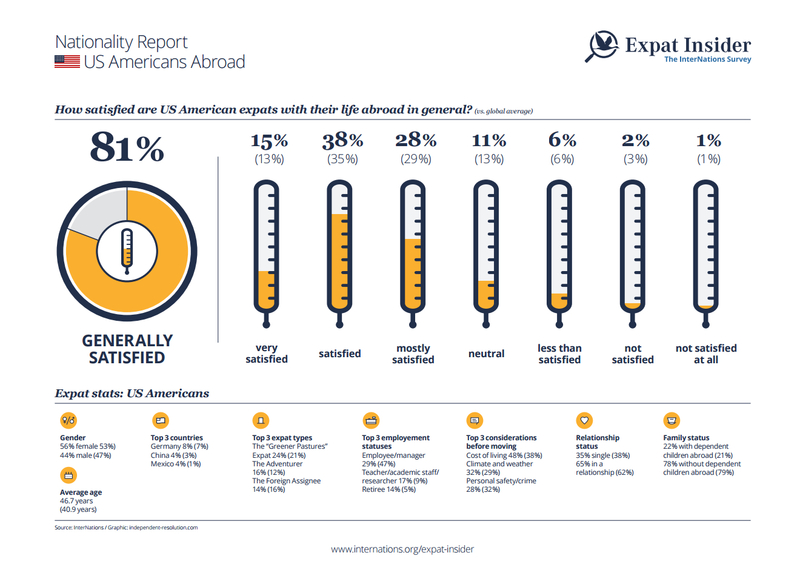 Being ‘unhappy’ certainly isn’t exclusive to expats. Expats, however, have uprooted their entire lives and started again in a new country and that’s incredibly stressful even under the best circumstances. In some cases, it causes serious issues with kids, parents, money, or just general stress that can cause serious issues at work. Things are usually toughest at the beginning of an expat journey; before new friends have been made, languages are learned, and after the reality of living away from their home country settles in. The longer a person has lived overseas, the less chance there is that they are struggling with transition issues or are still settling in. It’s always a good idea to ask a few questions about how the expat manager or founder came to be living abroad, and how long ago they became an expat. If it’s been more than about 2 years, they are typically well settled in. If they’ve been there for 10 years and are happily married to a local, that’s even better. But if they moved there just a few months ago to be with their new girlfriend, that worries me. If they were travelling around the world and decided ‘I’m gonna stay here’ 6 months earlier, that really worries me. And if they lost their job or spouse in the states and suddenly decided to try life in a foreign country, I’m not interested at all. Try to discern why someone is living so far from home, and whether they are in a situation that is likely to go long-term or might possibly go back to their original home tomorrow. Ask about it. Try to get a feel for whether the expat is legitimately happy and settled or may still be homesick and lonely to the point where it might affect your project. If they don’t sound like a balanced, happy and healthy expat, be careful. 2. Expats Like To Party. Having lived as an expat in Hong Kong, New Zealand, S. India, and the Netherlands I can say with confidence that there is a lot of partying going on in the expat community. Nothing wrong with that, but imagine what happens to a new expat who finds themselves immersed in a life of heavy drinking with a touch of loneliness and frustration. Things can get out of hand quickly, and this can affect clients in a big way. This one is a bit harder to assess, and expat-partying doesn’t seem to correspond with age, nationality, or any other trend. Just know that every night there are bars packed with expats around the world, and you want your offshore team to be sober and sharp. If the manager of the expat-run software shop you are considering seems like a party animal, think twice about moving forward. 3. Just being there doesn’t make you a country expert. Many expats are highly skilled and experienced IT professionals who have terrific software delivery skills. Often, they start their own offshore software companies and offer that ‘best of both worlds’ combo of western management and offshore value. A number of those companies are terrific, but even a stable, settled, skilled expat with the best of intentions will sometimes fail to deliver the quality that they were able to deliver at their home of origin. The reason: foreign countries are, well… foreign countries. When I lived in India I watched countless expat IT managers try to work Indian developers the same way they managed American developers. It was always a disaster – Indians are not Americans and they have their own way of communicating and working. If an IT manager doesn’t take the time to dig in and learn the ropes, they best they can hope for is to be a ‘boss’ that employees listen to, which is a far cry from being a real team leader. Transitioning management skills from a home country to a foreign country isn’t easy, so don’t assume that just because someone lives in a far away place that they are expert in doing business there. Look for an expat-run software team where the management has US business skills and sensibilities, but also has a real understanding of how things work in their current location. For starters, check for language skills. If a manager doesn’t even speak at least a bit of the local language it’s rare that they will be highly effective in their job. A well-integrated expat should have plenty of insight into the way local resources are best hired, trained, and developed into great IT professionals. If they aren’t integrated into the culture, they will wind up being a foreign figurehead who is only tolerated by their team – that’s not the kind of team you want working for you. 4. Retirees and backpackers? No, thank you. One of the more common reasons to become an expat is retirement, or semi-retirement, which is increasingly popular in the IT industry. Semi-retirement goes like this: a successful IT professional reaches a position where they are able to move overseas, without the burden of a full-time job. Instead of full retirement, though, the retiree opts to keep working – just on their own terms. The semi-retired IT professional has become wildly popular in Central America, especially Costa Rica, and in many ways, it sounds perfect. Clients can get a seasoned, experienced IT professional at a rate lower than you ever would in the US – what’s not to like? Retired people are retired, even if they are semi-retired. I’m sure some of them work very hard, but I can’t imagine being semi-retired and having the amount of energy or drive that a non-retired person would have. Call me crazy, but I don’t want anyone working for me who is retired, even if they are just semi-retired. When I think of people who will work overtime during crunch-time and bring energy to the team, I don’t think of older, semi-retired people. Retired people are older and more experienced. That’s good, but people who are at the sunset of their careers are surprisingly demanding when it comes to their rates and schedules. Imagine a very experienced, 50-year-old software pro who is living in Thailand who has lower expenses, but will never be comfortable working for 20% of their domestic salary, or being asked to work extra hours. As a rule, I am not interested in hiring IT pros who don’t really need their job and are only working to make a few bucks and keep busy. Then there are the backpackers. These are the 20-something travellers who want to do the ‘digital nomad’ thing and travel continuously by working online. It really does sound like fun – I wish that existed when I was backpacking around the world in the late 80’s. Retired people are retired, even if they are semi-retired. And there are some great deals to be had – in many cases, you can find a fantastic developer they’ll happily work on your project for much less than what you’d pay them in the states. I’m not really opposed to this model but I generally avoid it. The reason is that transient or nomadic workers are inherently less reliable, if only because they are nomadic and are intentionally avoiding putting roots down anywhere. This can definitely work if you have a job that is less than a month or two, but if you go much longer than that there is a good chance your rockstar developer will by partying in Ibiza when you most need them. So, offshore expat-run software companies – Yea or Nay? The answer is Yes! Absolutely, without question. An expat-run offshore team really can bring the best of both worlds. This is one of our favorite types of offshore firms if the expat manager or founder is well versed in managing the local workforce, is happy and stable, and plans to stick around for a while. It’s not a guaranteed recipe for success, though, so be sure to watch out for some of the expat pitfalls described above. Better yet, jump on a plane and visit a company in person – there is no better way to get a feeling for how they are going to perform for you. *Get more great content in our monthly newsletter – Subscribe here!